The suspected killers paraded by the Kwara State Police Command in Ilorin last week have named the Senate President, Mr. Bukola Saraki and Kwara State governor, Mr. Abdulfattah Ahmed, as two of the men who ordered them to kill many Kwara State indigenes in Nigeria and abroad. The suspects, who have been transferred to Abuja for further investigation, SaharaRepoters learned, named the Senate President and Mr. Ahmed in the confessional statements made to the Police. According to the statements made to the Police, the suspects said they have been on the payroll of the Kwara State Government and Mandate Office of Mr. Saraki. The leader of the killer squad, the son of Salihu Woru the self-appointed spokesman of Magajis in Ilorin Emirate, is placed on salary Grade Level 16, while his colleagues are on Levels 10 to 15. The suspects, SaharaReporters gathered, also admitted that they were being paid from the Office of the Senate President. Mr. Saraki, the suspects told the Police, gave them Toyota Corolla cars a few months ago as a way of securing the loyalty ahead of the 2019 elections. On the list of people marked for execution before the election, they said, are two men, both named Mustapha; Kayode Oyin, Yinka Aluko, Baba Rex, and one Ogunlowo. 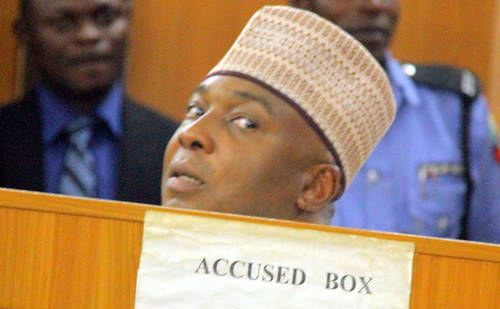 A Police source told SaharaReporters that bank statements retrieved from the suspects indicated that they received money on a monthly basis from Mr. Saraki and the Kwara State government. This, added the source, has ensured that most of them have healthy bank balances running into millions of naira. Following their confession, the Senate President and Mr. Ahmed attempted to pressure the Kwara State Police Commissioner, Mr. Aminu Pai Saleh, using Director of Public Prosecution (DPP), Mr. Jimoh Mumini, who is said to be very corrupt. Mr. Pai Saleh was said to have been offered money, which he rejected. Mr. Mumini has been critical of the transfer of the suspects to Abuja, saying that the state government has successfully prosecuted cultists and killers at the State High Court under the penal code. The Senate President and Mr. Ahmed may soon be invited by the Police. Both men have accused the Inspector-General of Police, Mr. Ibrahim Idris, of planning to frame them for murder.